In my humble opinion, there is no better way to impact our students than to provide them access to incredible literature. They deserve opportunities to reflect upon their lives, think about the decisions they may make when faced with certain circumstances, and determine who they may want to be as they continue to mature. That being said, we, as teachers, need to be familiar with outstanding literature in order to pair students to the texts that may change their lives. I've been fortunate to work directly (in the co-taught setting) with two teachers who are readers themselves, and therefore, know how to engage their readers. 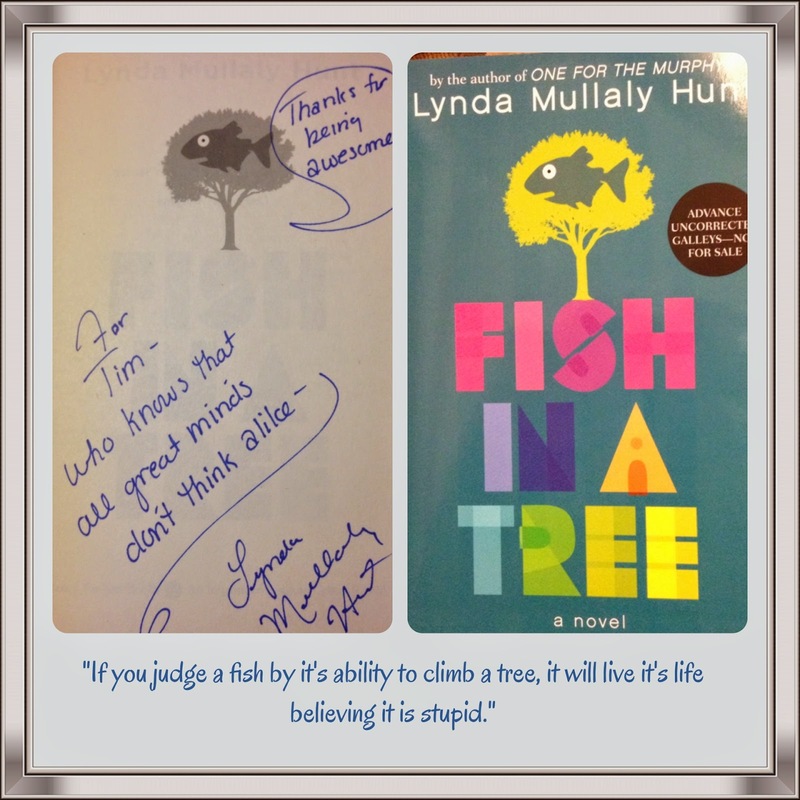 Since Lynda Mullaly Hunt's new novel, Fish in a Tree, celebrated it's book birthday earlier this week, I have received a text from one of those teachers begging me to borrow my copy (more on that can be found here) and saw, through social media, that it is the other teacher's planned next read. While the three of us, over the years, have discussed numerous books, I would like to extend this to a slightly more formal conversation and see if we can have a greater impact throughout our community. This is why I am proposing that we begin Book Club Cobb. I foresee this as an opportunity for teachers across our (enormous) school district (and beyond) to learn about current, popular titles that are engaging for students. 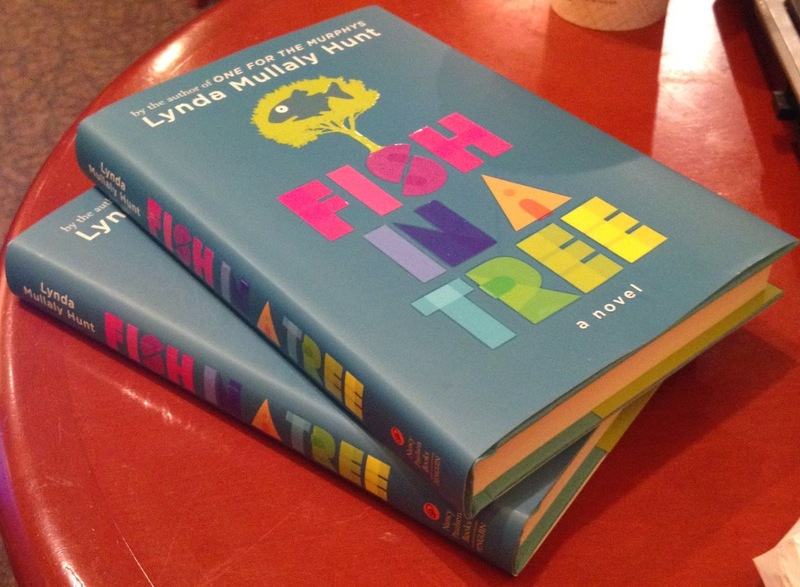 This evening, I purchased two copies of Fish in a Tree, and while I would like to begin with this text, I would eventually like several choices within each conversation we share; so that yes, we are discussing the book, but we are also thinking about strategies we could teach from lifting various passages from the text and then also to be able to get to know an even greater amount of titles that we may share with students. These two copies are beginning with very distinct destinations, but I expect that they will then be passed on to others who would be interested in participating in our #BCCobb chat on Thursday, March 12th, 2015 at 8 pm. If you are interested, please join us. If you would like to borrow a copy of the book, jump in line (please feel free to use the comments below to document your interest)...or find a copy at your local bookstore or library. We look forward to the conversation and the opportunity to put exemplary literature into the hands of our students! I would love to borrow a copy! Looking forward to the chat!